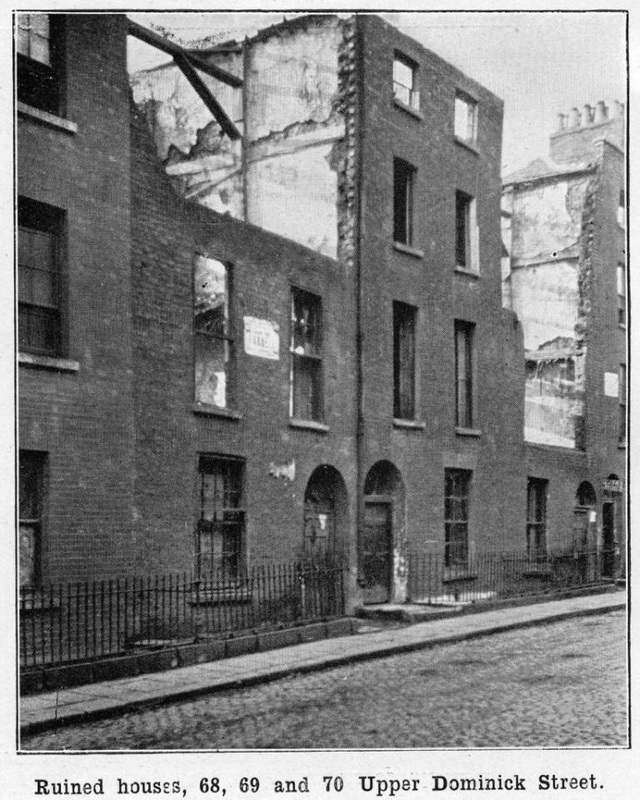 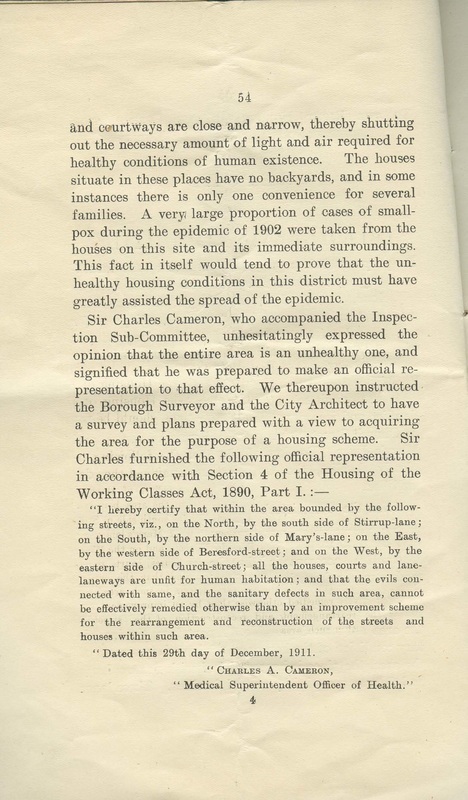 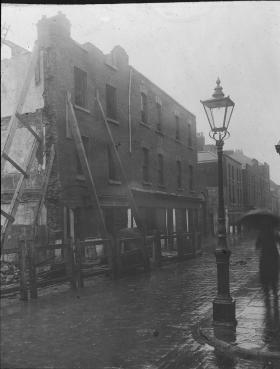 Dr Jacinta Prunty on the Church Street tenement collapse in 1913. 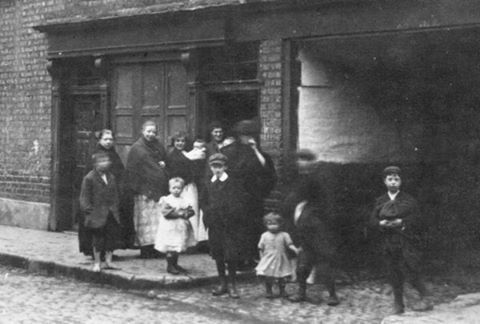 ​Tenement dwellers pose for a photograph on Church Street, c. 1913. 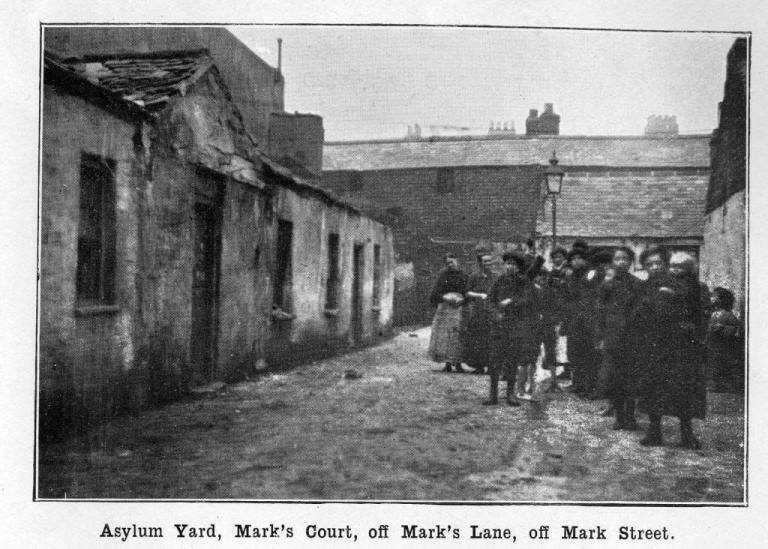 Smullen’s Court was one of the many “courts” in Dublin, hidden behind the main streets of the city and often built on the gardens of formerly grand Georgian houses. 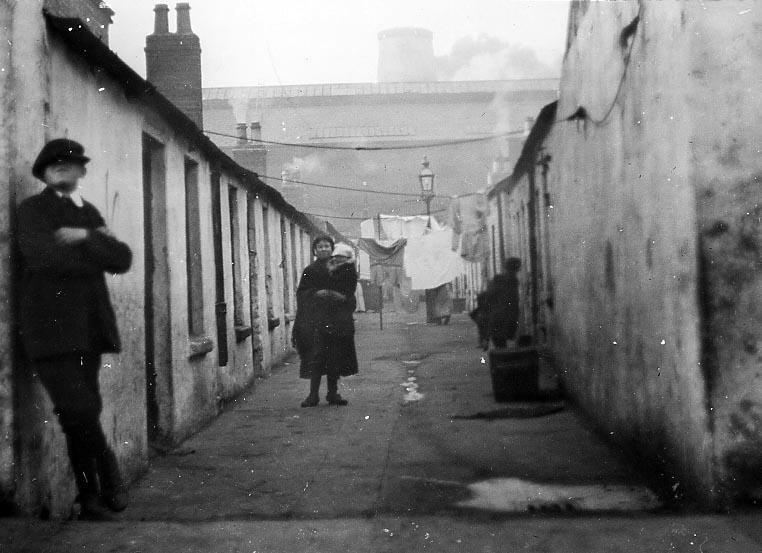 The families living in the courts – sometimes two to a single cottage – shared a single toilet and tap. 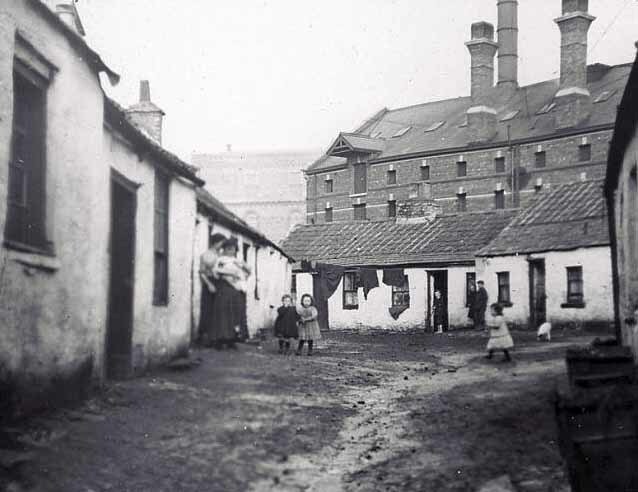 In a large number of cases, families of up to eight could share a two-roomed shanty. 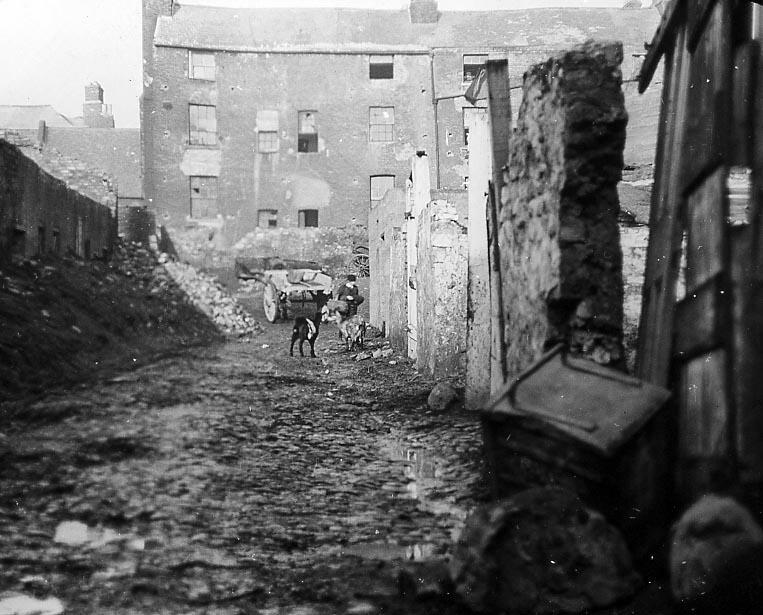 In this photo chickens run freely in the dirt of the alley and the windows of the tenement house facing us are broken. 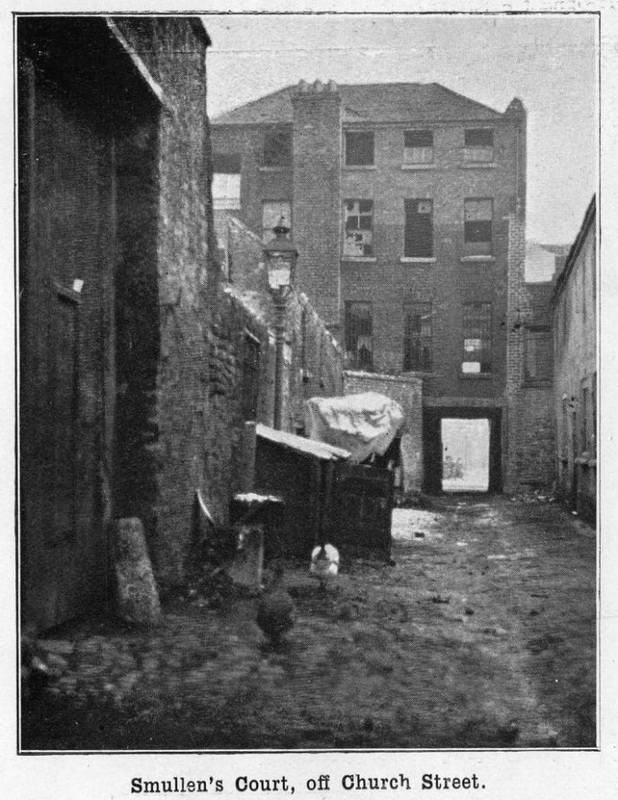 ​​This photograph is one of those taken by W.J. 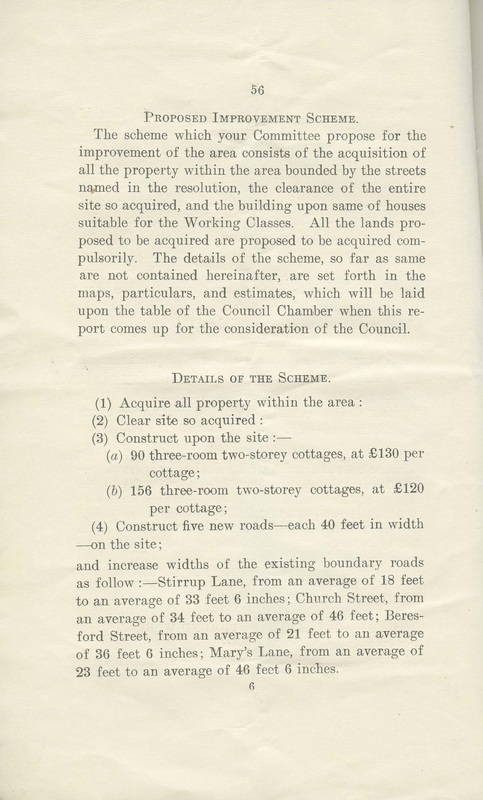 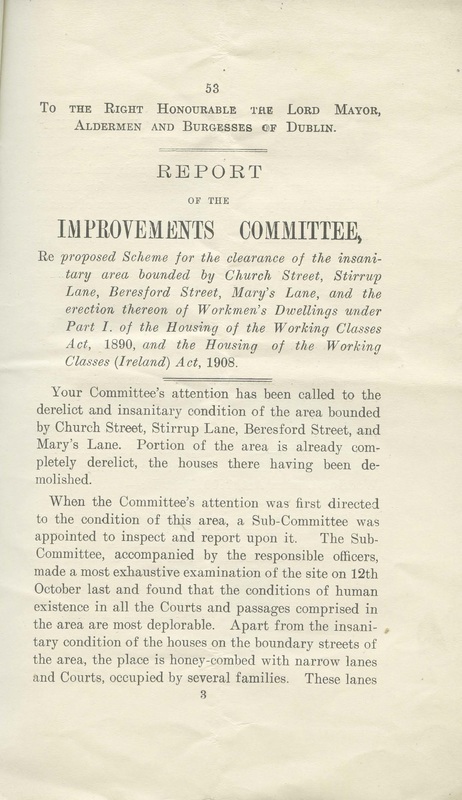 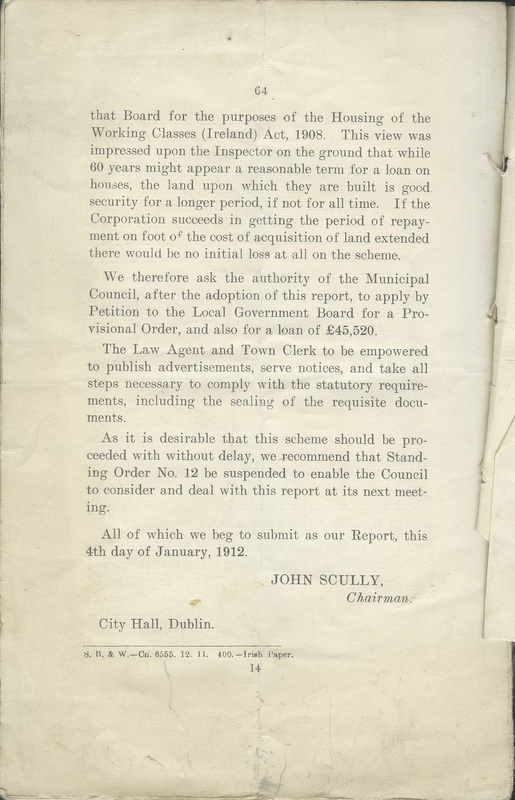 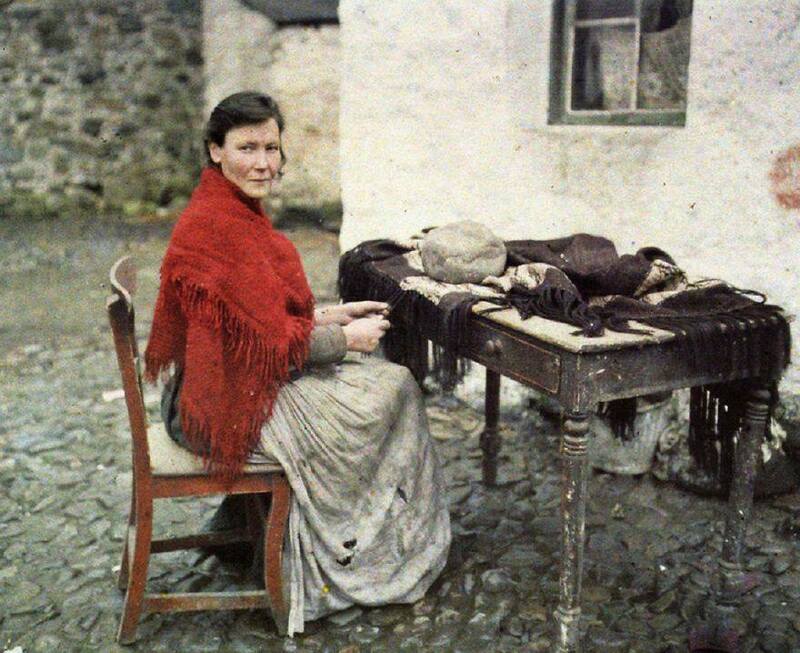 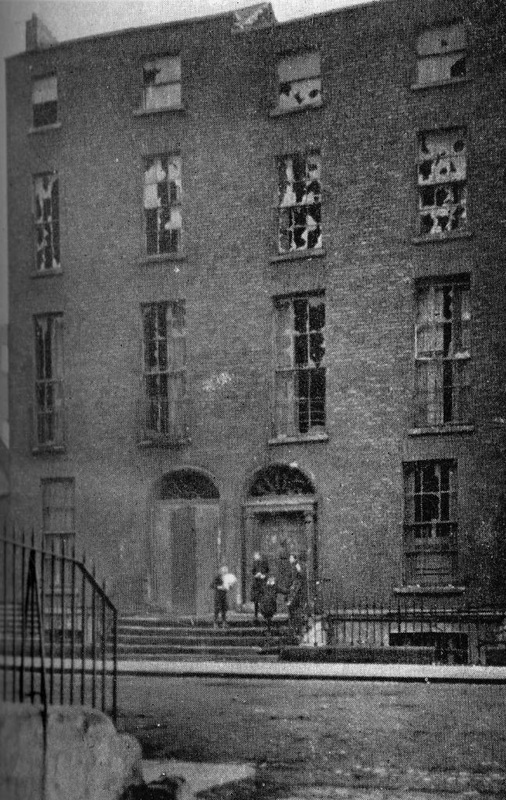 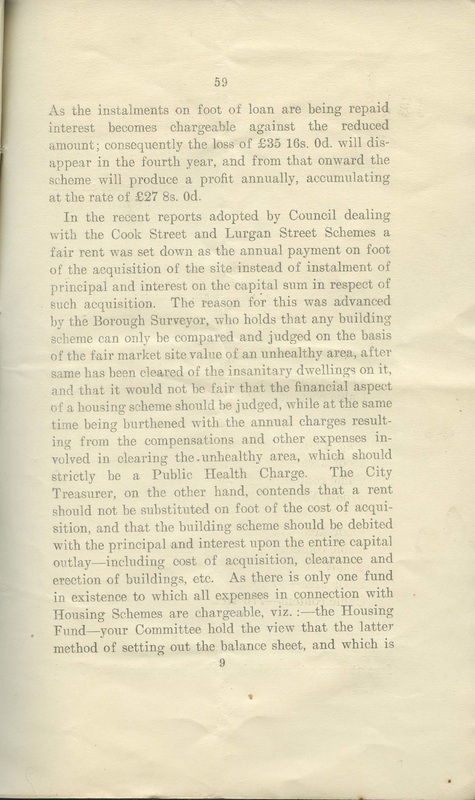 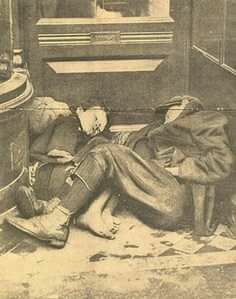 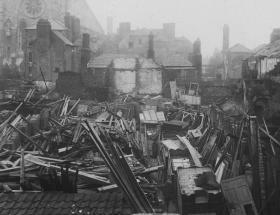 Joyce in 1913 to illustrate the dreadful living conditions in Dublin. 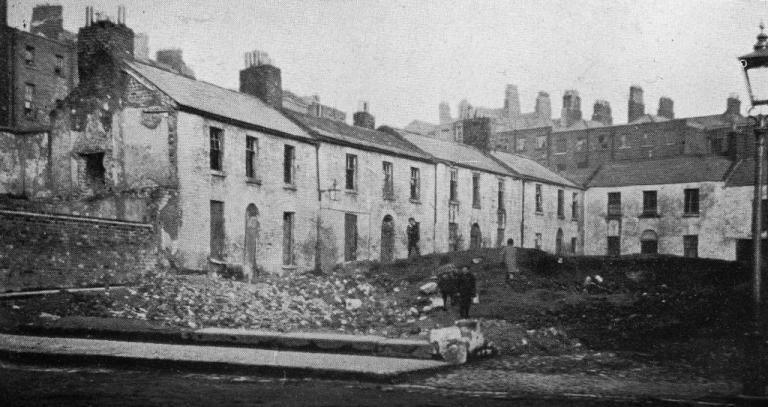 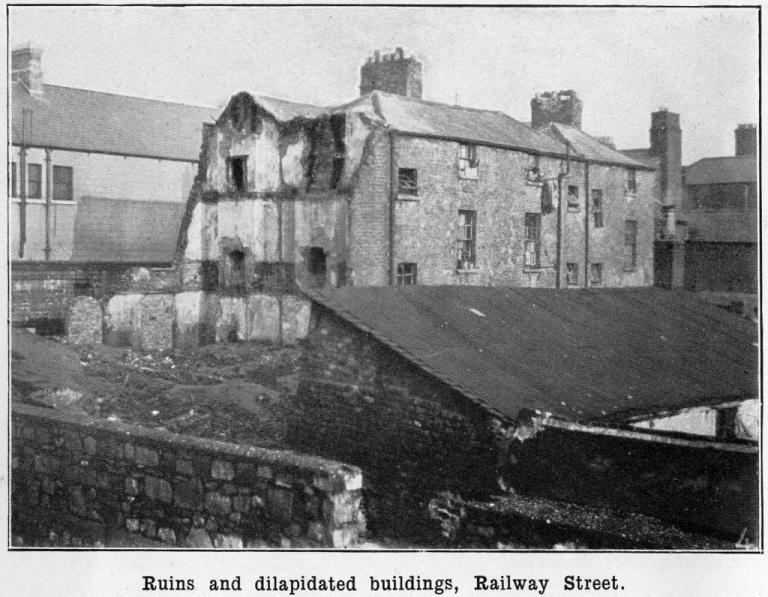 Kavanagh’s Court was one of the most derelict sites in the city. 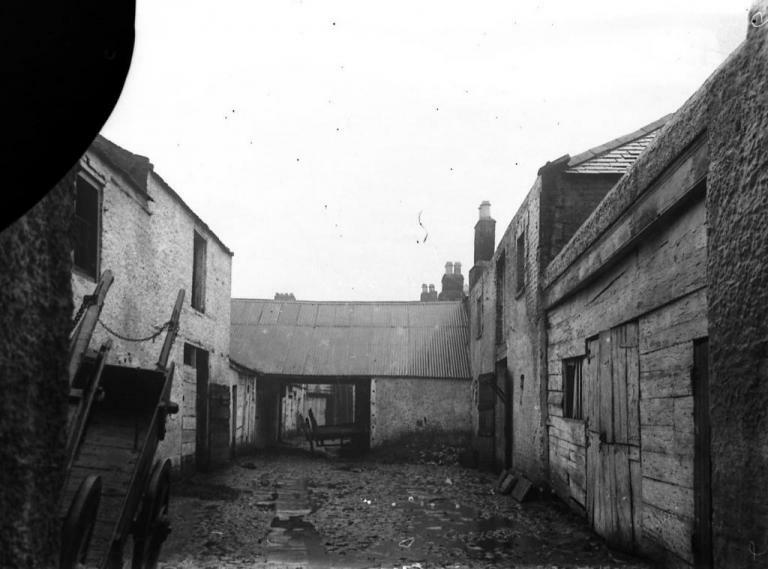 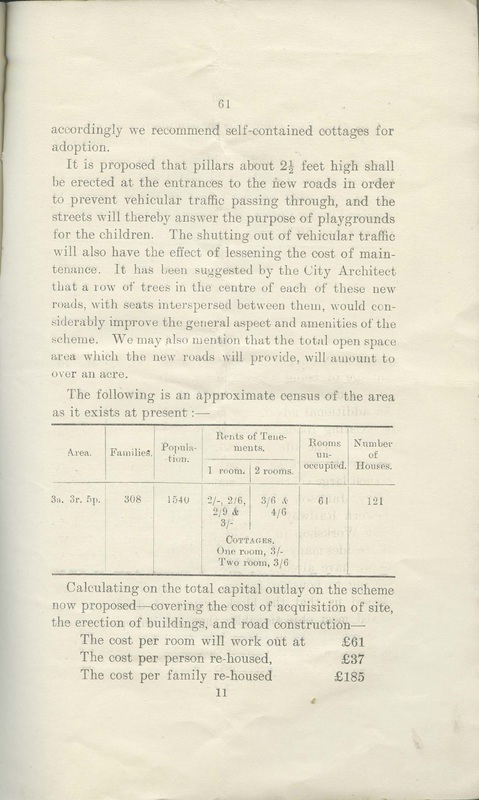 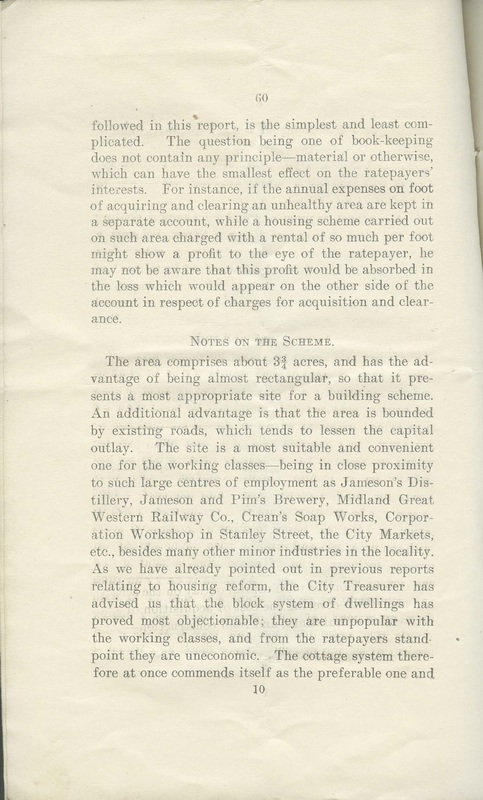 It is listed as Cavanagh’s Court in the maps of the period, but does not appear under either name in the 1911 census. 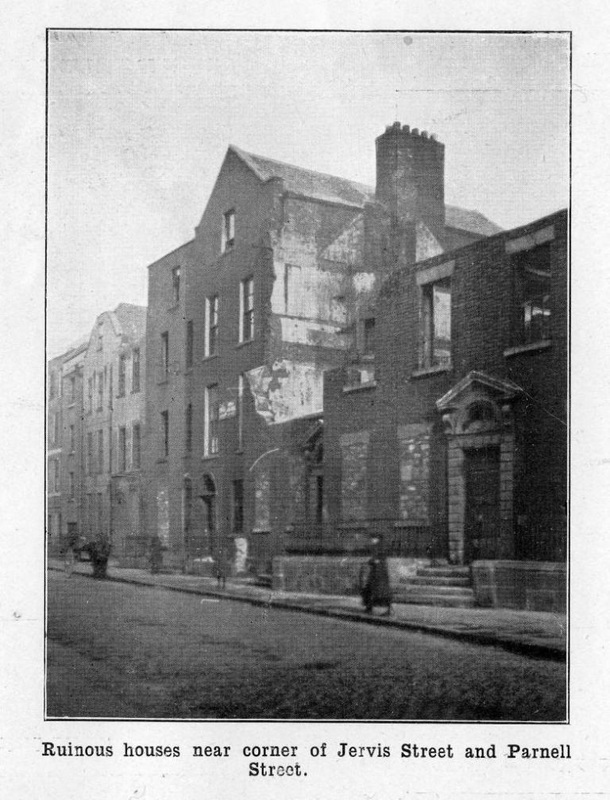 Taken by John Cooke. 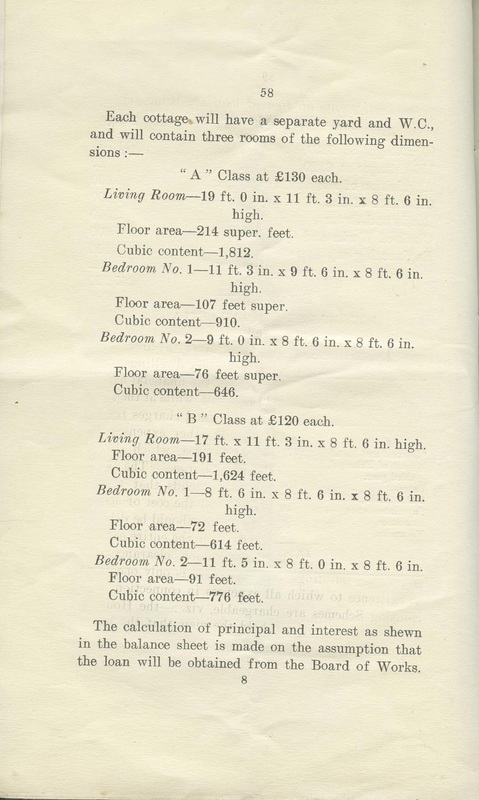 The 1911 Census reports that eight families had lived in the eight rooms of number 69, a total of 46 people, some living nine to a room. 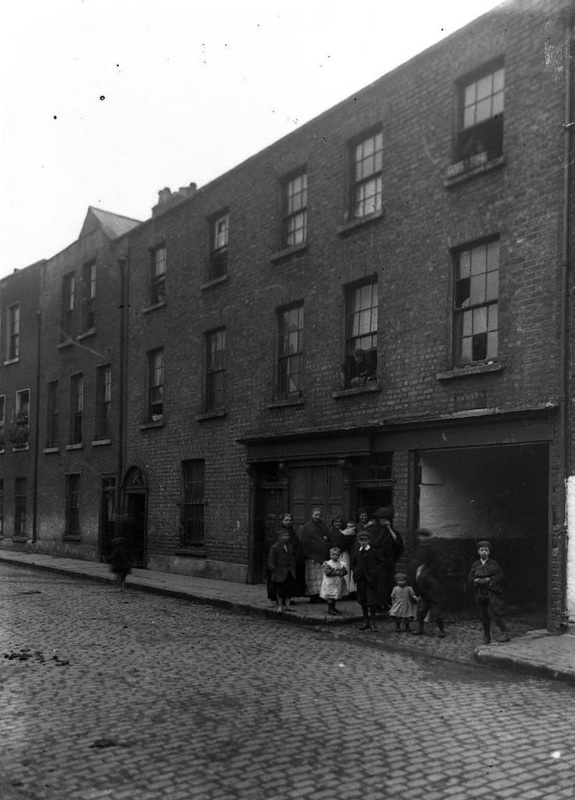 Jervis Street was a very busy and heavily populated street at this time; over 900 people are listed as living there in the 1911 census. 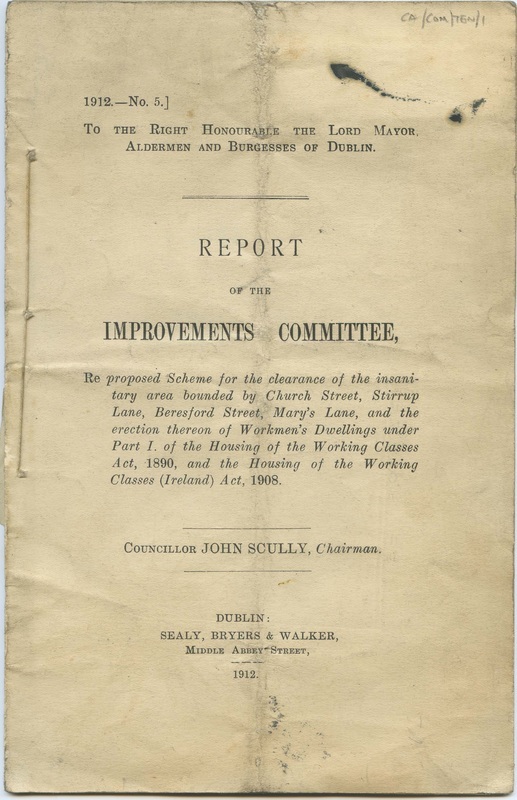 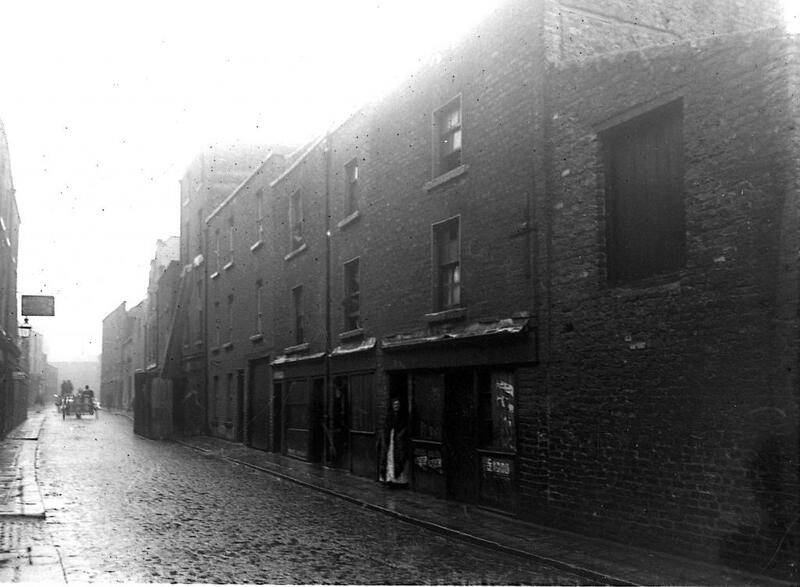 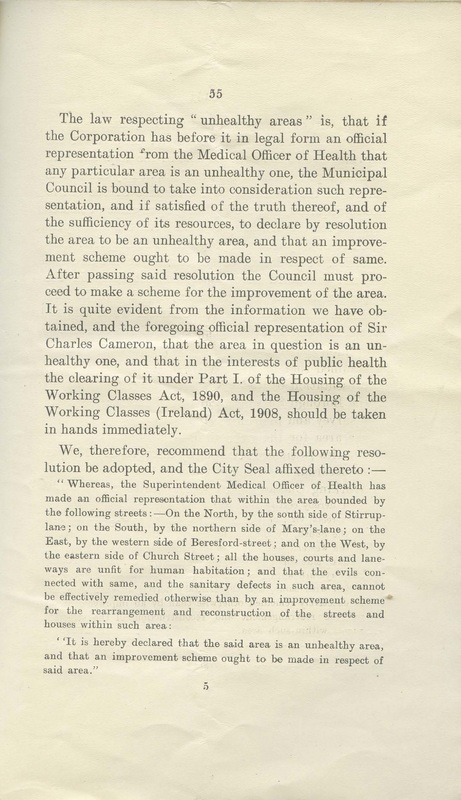 Railway Street was originally called Lower Tyrone Street and was part of the notorious “Monto” area, which was said to be the largest red light district in Europe at the time. 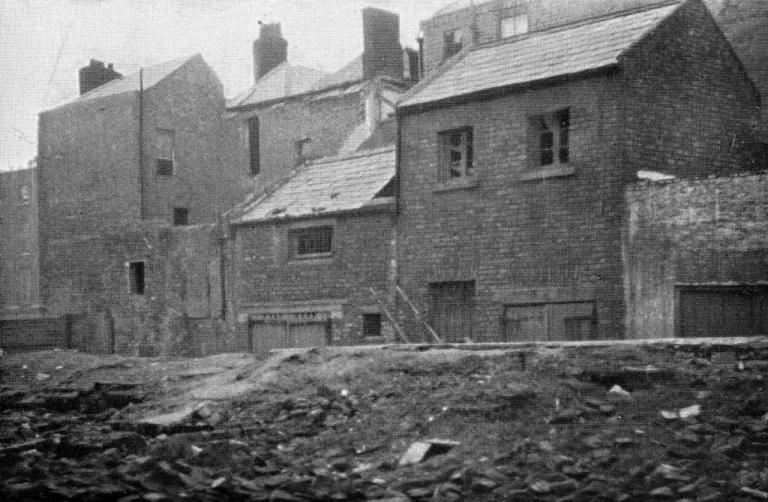 More a wasteland than a lane, it is hard to believe that families were living in the derelict houses in the background of this picture. 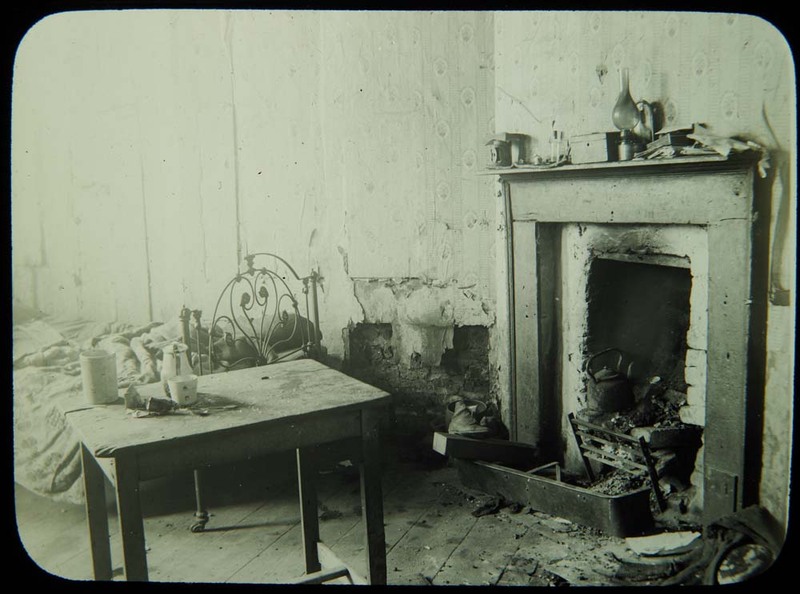 The Keoghs, the Cullens and the Kennys lived here in 1911 – a total of 19 people. 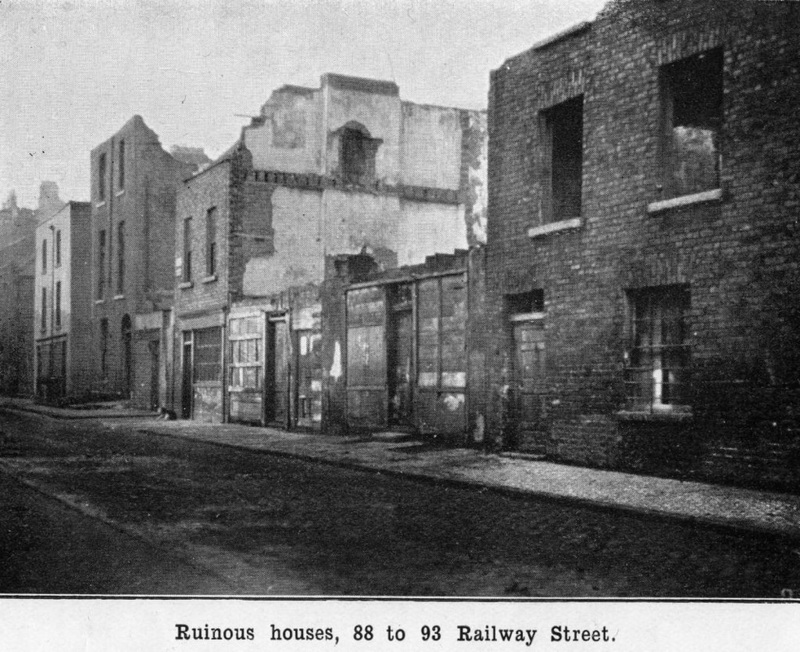 The photograph shows a classic example of tenements housing. 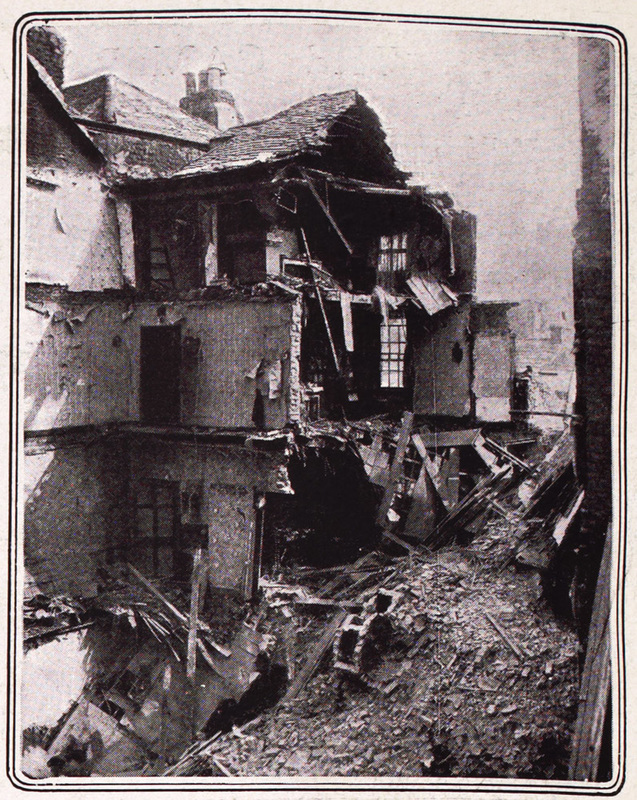 In 1911, in No. 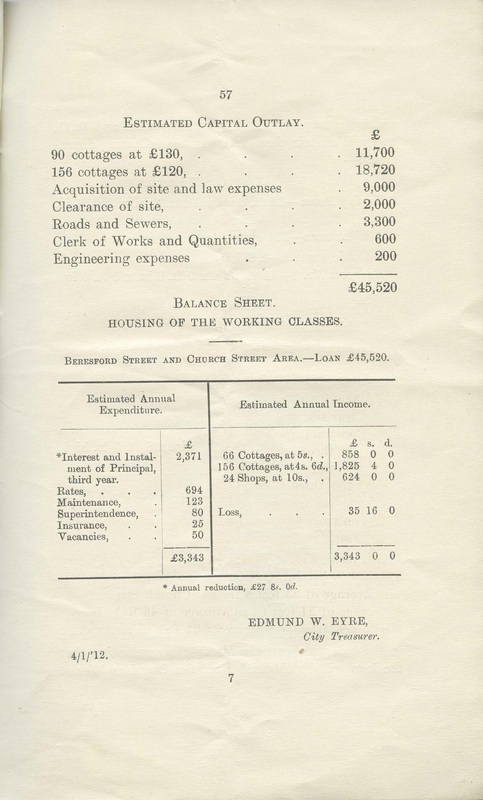 27, 42 people lived in 9 rooms. 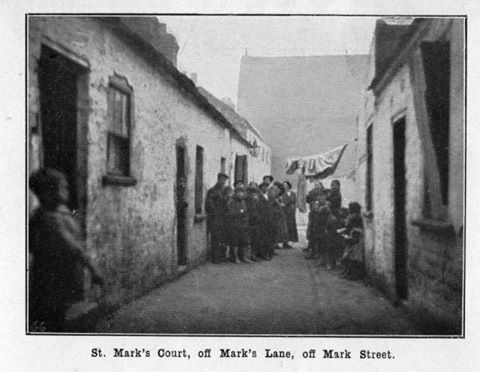 Over 50 people lived in this small row of cottages in 1911. 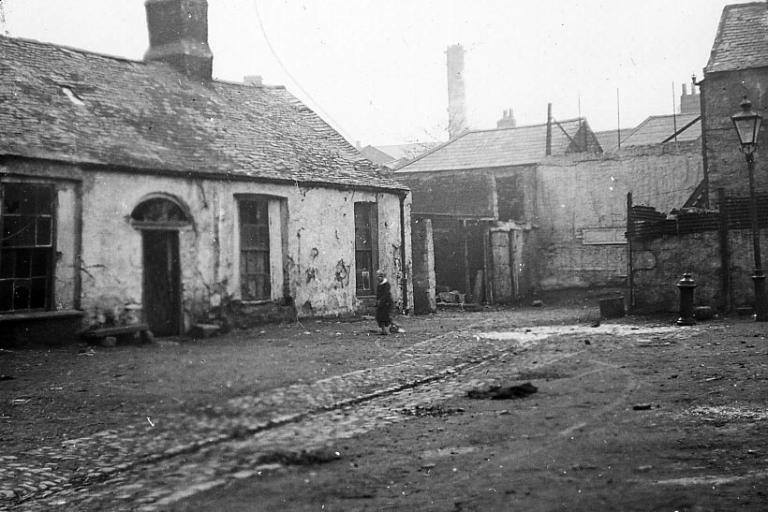 It was noted that in some cases this type of cottage was unhealthier than the tenements as there was no possibility of getting access to pure air or to sunlight. 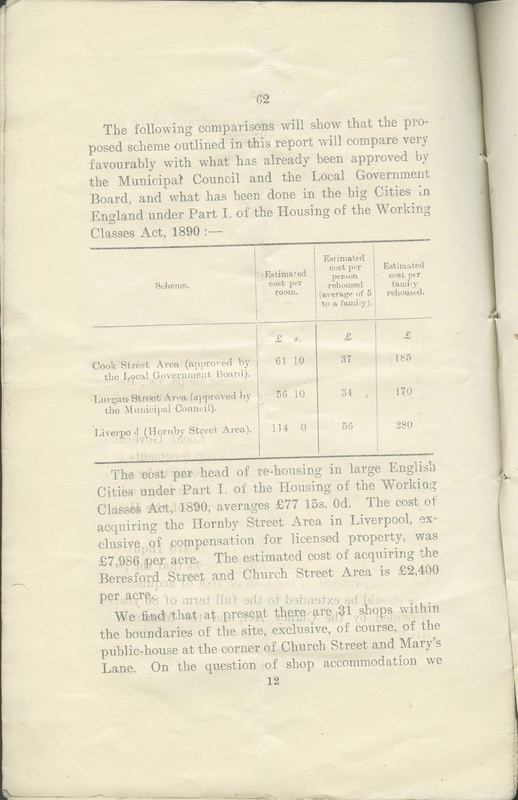 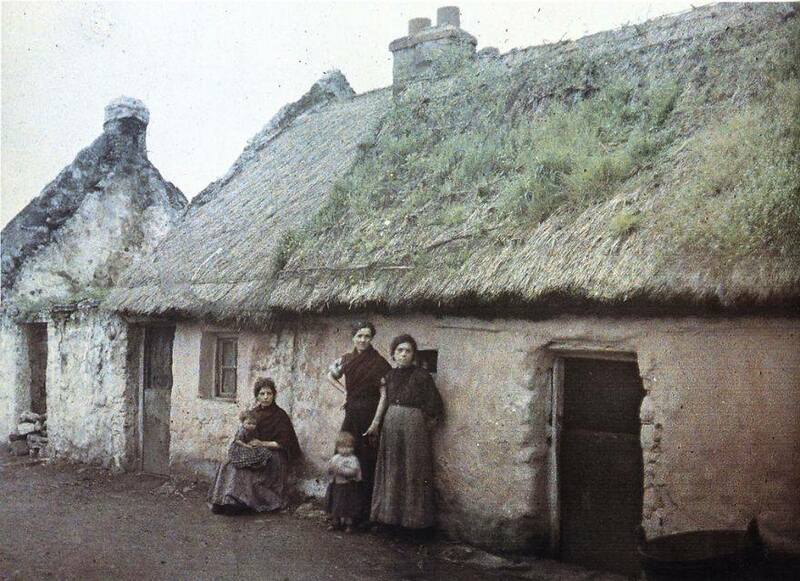 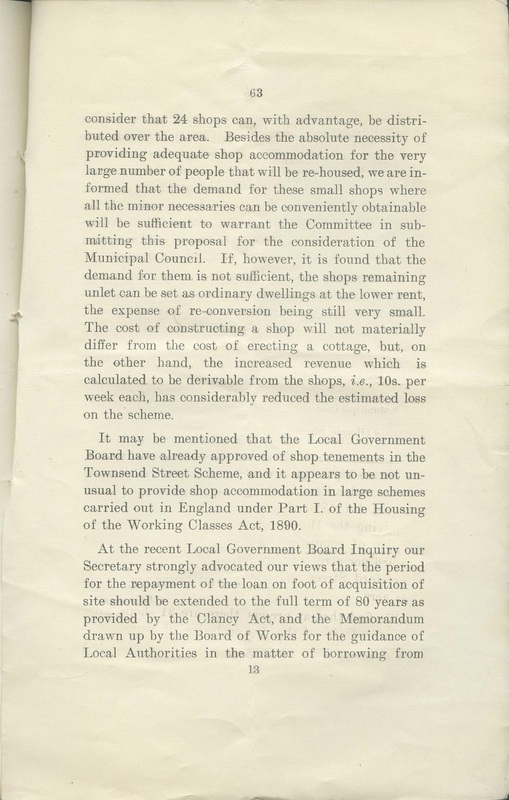 The overcrowding in Brady’s Cottages was particularly bad, with up to ten people living in a two-roomed cottage in 1901. 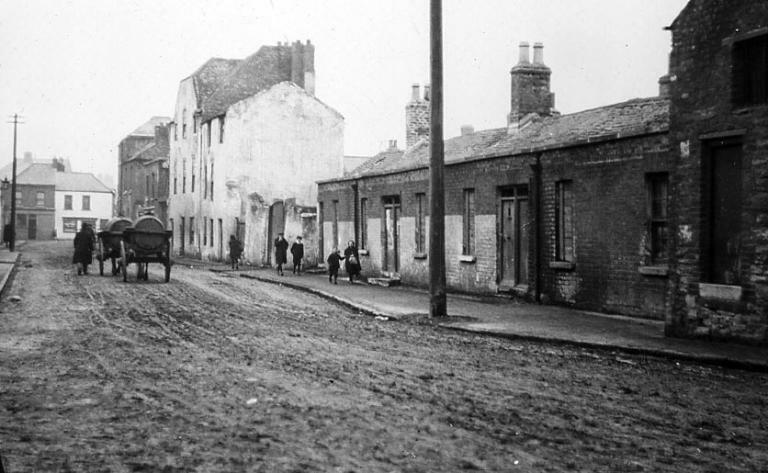 Lime Street is located close to the south bank of the Liffey close to Hanover Quay.